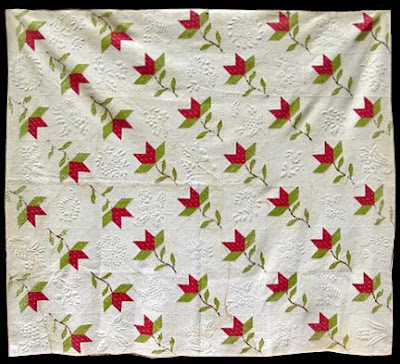 My last blog featured two mid-19th century quilts with two different styles of trapunto . 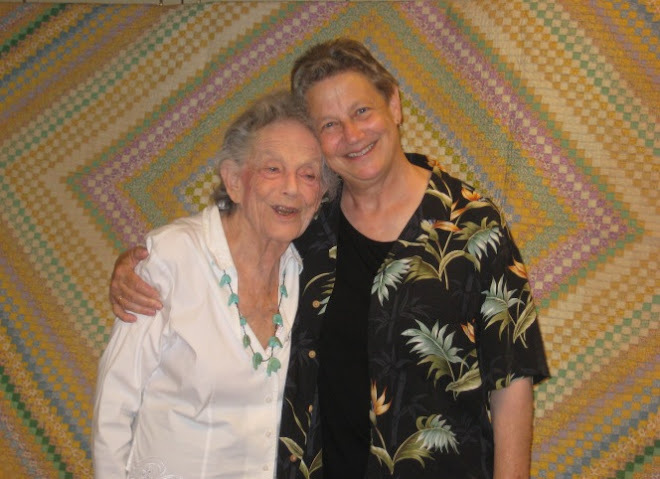 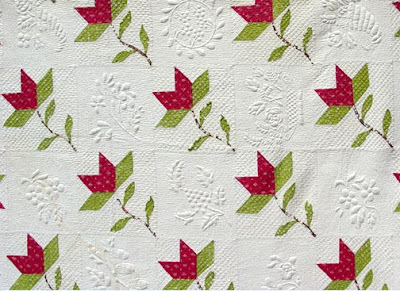 Below are two more examples of early quilts, made by women who used trapunto in yet more ways! 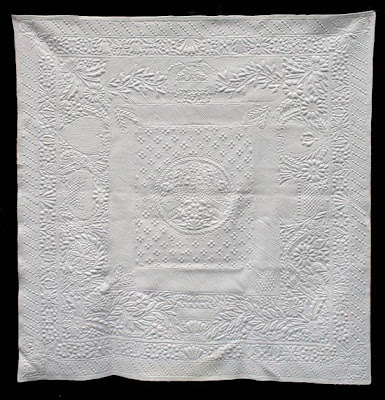 A wholecloth quilt in which the trapunto IS the design of the quilt. 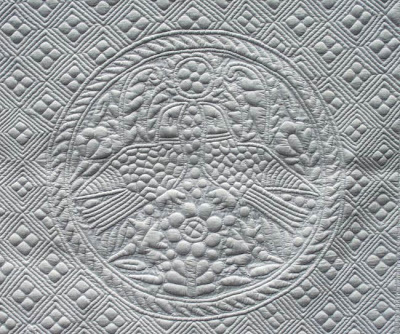 August 4: Whatcom Museum, Bellingham, WA ~ "Threads Through Time"
August 29: Valley Quilters, Yuba, CA ~ "Keepin''em in Stitches: America's Funniest Quilts"
September 7: International Quilt Study Center, Lincoln, NE ~ "Mark My Words"
Sandra Mitchell ~ Queen of "Cheddar"
Quilts Get Sold ~and BEAUTIFULLY Installed!